In striving to showcase the very best of young talent and continuing the quest in our search for new emerging talent, Rivenmaster is proud to present the very youngest child to ever be introduced on this site. While we have made it a practice to only feature youngsters between the ages of 8 and 18 we just had to make an exception for 6 year old Jordan Bijan. 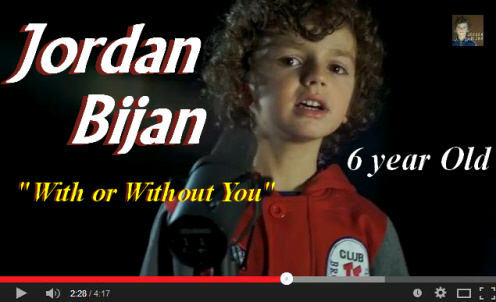 Jordan Bijan is a musical phenomenon from Brampton, Ontario. 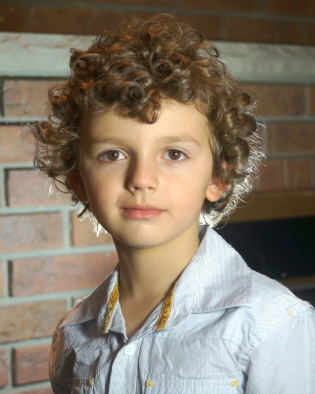 Although he is only 6 years old and just beginning his musical pursuit, he is already showing signs of enormous talent. His dad shared with me that the earliest sign of Jordan showing a special natural talent was at the age of two. He recalls Jordan sitting in his car seat and singing along with his two sisters. However, Jordan was the only one who could match the pitch of the melodies he would hear. Jordan’s Dad is a multi-instrumentalist so their living room is often filled with different instruments. One day at the age of five and a half, Jordan came to his dad and asked if he could learn a beat on the drums. His Dad showed him a basic beat, and within minutes, Jordan could play it. Dad would play the piano, and Jordan would keep a beat. He then wanted to try the piano so his father showed him a few basic chords which he learned instantly. Jordan showed an amazing interest and would come home from his half day Kindergarten class, eat his lunch and go straight to practice. Once he had built up enough confidence he wanted to record his own songs. Of course he wasn’t satisfied playing just one instrument; “he wanted to play them all“, said his Dad.